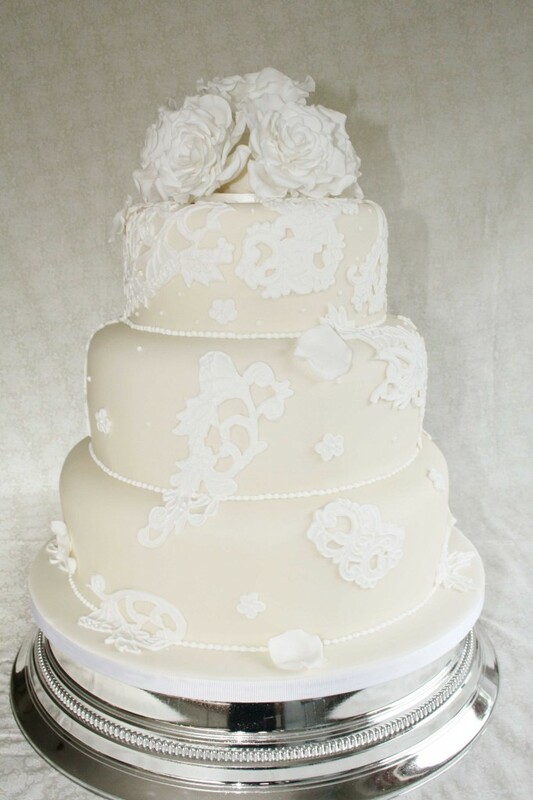 Three Tier Wedding Cake with ivory base. 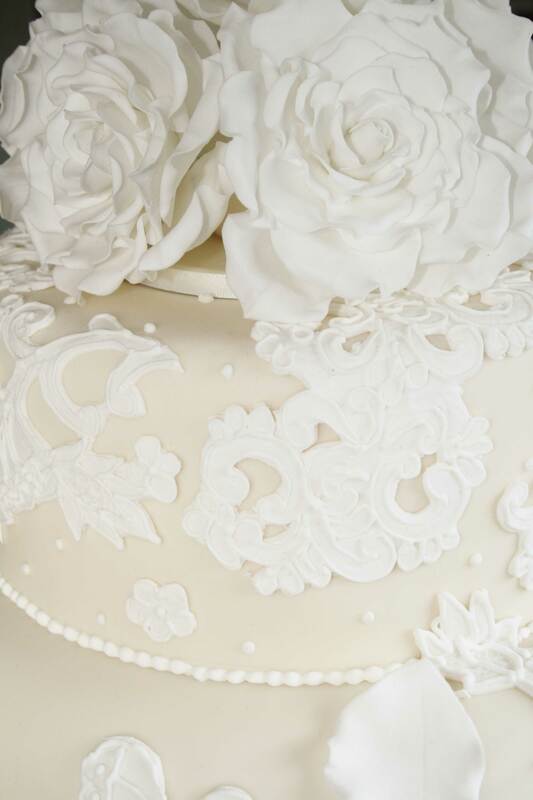 White sugar roses, sugar overpiped white lace work and finished with piped beading to each tier. Satin ribboning and microdots. Cake serves 120 finger portions.